I made this cake for my 4 year old son for his Birthday. 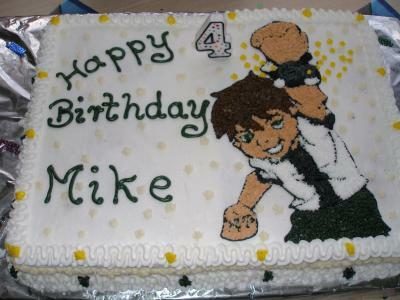 He loves Ben 10 and was very happy that mommy made him this cake. This one is specially for the boy, the one who likes pokemons. Love the cake. I also like the border that you used.